Pioneers in the industry, we offer wild life outage protectors from India. Outdoor Protector are re-enterable closure, quick and easy to install.are been designed to insulate connection of fuse bushings. 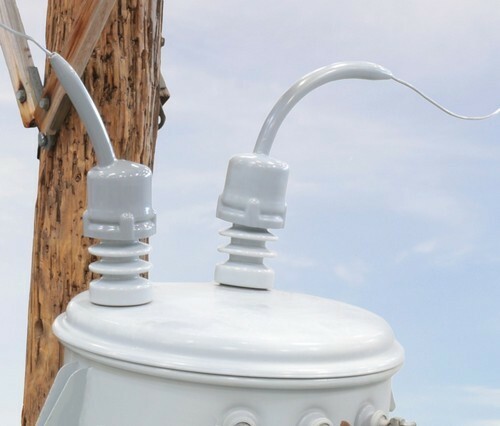 The UV resistance, anti-tracking material protects energized conductors from flashover caused by wildlife.These insulating covers are designed to prevent animal caused outages on bushings ranging from 15 to 35kV. There are wide ranges of bushing sizes and are suitable for substation and distribution applications. Fast and Versatile Installation No trimming is required and they fit a wide range of bushing skirt diameters. If needed, they can be installed on energized equipment as well. The feathered edges of these covers allow for conductor exits in both vertical and horizontal directions. These same edges act as thcnnal scan sites for true temperature evaluation of the covered hardware. High Performance Material Superior high-voltage outdoor materials arc used in the Outdoor Protector design . The rugged, non tracking, UV-resistant polymer ensures long-term performance evens in the most extreme environmental conditions.